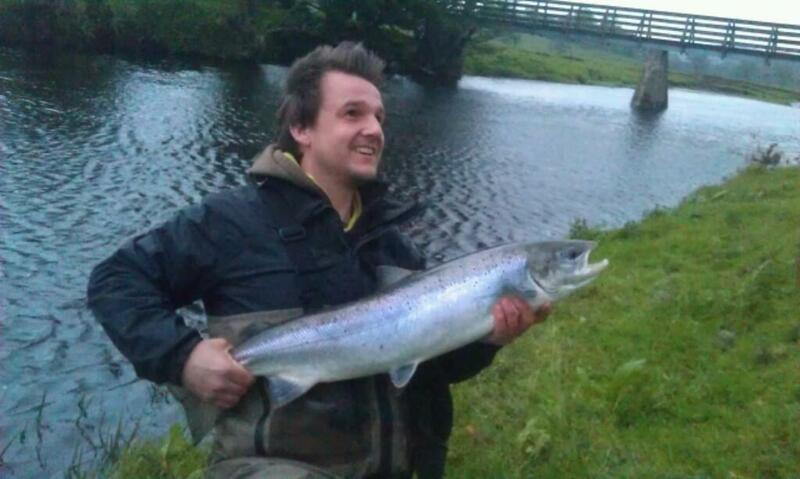 Chris Turner caught this nice Salmon from the River Endrick on a Temple Dog fly! The fish was his second of the day with another salmon coming to his fly just an hour earlier. Both fish were safely returned. Chris with a nice Endrick fish!